The Arnoldo Mejía Library actively supports the academic and investigative work of Baxter Institute and its curriculum. Its purpose is to meet the research needs of the faculty and student body. A computer is reserved for students to access the library’s database of more than 3,000 books and materials. To find books in the library, search the online catalog. The library contains books on all subjects and disciplines related to the curriculum. 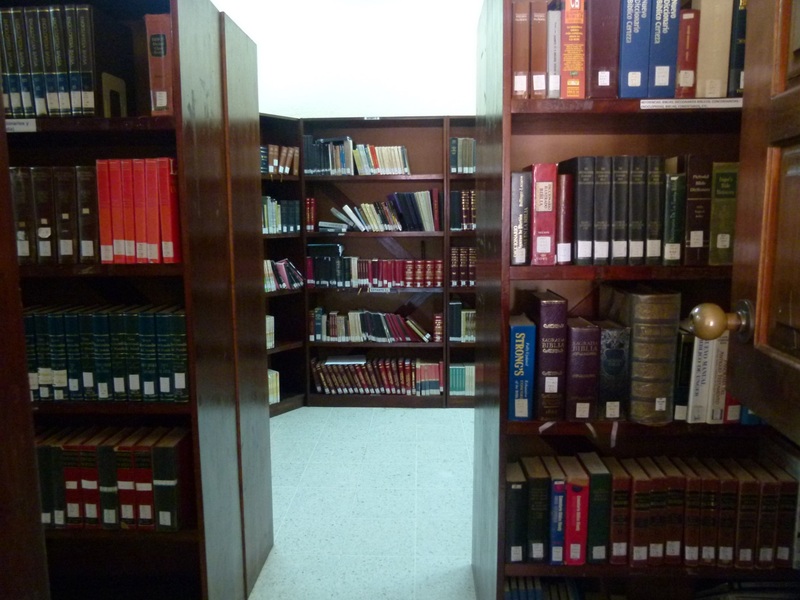 It is organized by classification number, with books available for use inside and outside of the library. In the reserve section are readings, texts, assignments, and other resources separated by the teachers. This collection consists of various resources on quick use, such as: Bibles, Bible concordances, Bible dictionaries, Bible atlases, Bible commentaries, bibliographies, encyclopedias, lexicons, grammars, maps, etc. The library needs to increase its collection of books in Spanish on the subjects of: counseling, marriage and family, drugs, devotionals, church growth, missions, psychology, children’s ministry, etc. The library maintains a list of specific books that have been requested by the faculty. One can request the list or make donations that the librarian will use to purchase these volumes.